In a letter t to the Varela, carrying bearing which bears the signature of Aquiles Acevedo, president of the National Association of Cattle Ranchers (Anagan), the breeders ask the president to grant them the opportunity to meet with him to evaluate the results of the measures adopted on August 16, to which are added the specific agreements of the meeting at the Hotel Cubitá de Chitré and those reached on January 10, 2019. 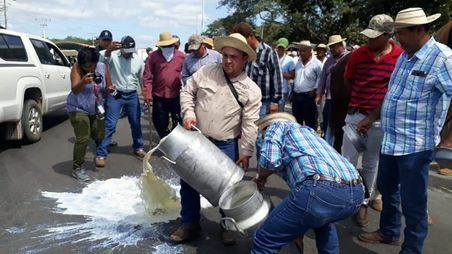 Acevedo told Varela that the sector has deteriorated, to such an extent that the milk receiving plants predict cuts in production, and that livestock prices, far from rising, continue to fall. "The performance requirement has not been effective in stopping large imports of meat from Nicaragua and milk from Costa Rica," they said insisted and they fear the current scenario threatens to lead to the loss of their properties. Other countries have a climate better suited for agriculture. Also more productive. Why is meat and milk being imported from other countries? I do not understand this. Panamá has a lot of expats and tourists who want Panamanian food. Also, with the civil unrest in Nicaragua do we really want to eat their meat? Everything you need to eat and live good is right here in Panamá. That's why people come here. Agree. Nicaragua is in such turmoil - how can we be sure any of their products are even inspected, have any kind of control. We just don't buy imported meat, dairy. This should be a no brainer, even to a snail.